The story opens with Shannon meeting Matthew outside his hotel room. She tells him who she is and things begin rolling quickly. The entire book moves at a very quick pace and holds your interest with every page. Shannon is a woman who has been through some horrible crap in the past eleven years. She has lived and worked with her captures and done her best to survive. When she finally breaks into freedom, it is apparent that she has spent years thinking through the process. She has a plan and she's not afraid to speak it. I loved Shannon's character, and I hope that I would be able to hold myself together as well as her if I ever found myself in such a tragic event. I loved her willingness to also go after who and what she wants in her life. I left this book feeling like Shannon is truly going to be okay. I also enjoyed Matthew. He seems like he is very good at what he does, and has worked hard to get his life back to normal following all the events of his life. I appreciated his ability to be there for Shannon, yet to let her do her thing in her own timing. All the other characters in this book played such an important role, and fit perfectly into the story. They each had such a complex background, but I thought it was woven into the story in such a natural way. I thought this was an amazing book and I loved every single word of it. Definitely a good read. Dee Henderson is the author of 14 best-selling novels, including the acclaimed O'Malley series and the Uncommon Heroes series. As a leader in the inspirational romantic suspense category, her books have won or been nominated for several prestigious industry awards, including the RWA's RITA Award, the Christy Award, the ECPA Gold Medallion, the Holt Medallion, the National Readers' Choice Award, and the Golden Quill. Dee is a lifelong resident of Illinois and is active online. 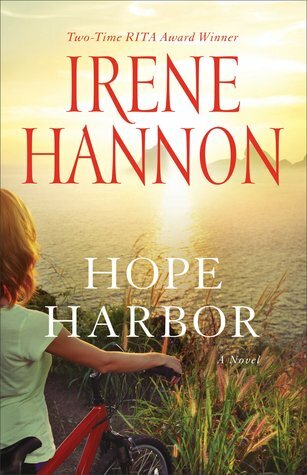 I had high hopes for this book based on other Irene Hannon books I have enjoyed. Unfortunately this fell flat for me. The characters in this book are extremely complex. Each one has a jagged background full of mystery and surprises. Each character has experienced a great deal of pain in their past, and each one finds themselves guilty for the loss they have been through. Through the book we learn quite a lot about the characters. We get to know them based on their past and the hurt they have felt. We find them connecting based on their past. But the past seems to be all we get from these characters. While each person finds a way to overcome their hurt and disappointments, it seems that is where the story ends. I found myself wishing we could see much more of the "now" for these characters and to see how each one took their new life and lived it. Irene Hannon, who writes both romance and romantic suspense, is the author of more than 45 novels. 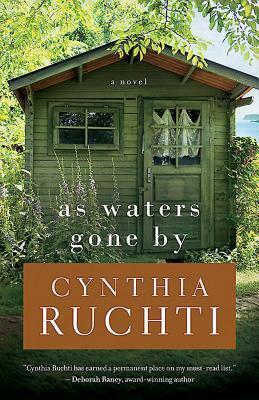 Her books have been honored with two coveted RITA Awards from Romance Writers of America (the “Oscar” of romantic fiction), a National Readers' Choice Award, three HOLT Medallions, a Daphne du Maurier Award, a Retailers Choice Award, a Booksellers' Best Award and two Reviewers' Choice Awards from RT Book Reviews magazine. 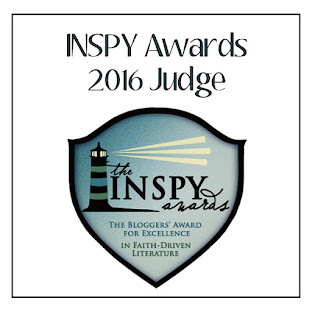 She is also a two-time Christy Award finalist. A former corporate communications executive with a Fortune 500 company, Irene now writes full time. In her spare time, she enjoys singing, long walks, cooking, gardening, traveling and spending time with family. To learn more about Irene and her books, visit www.irenehannon.com. 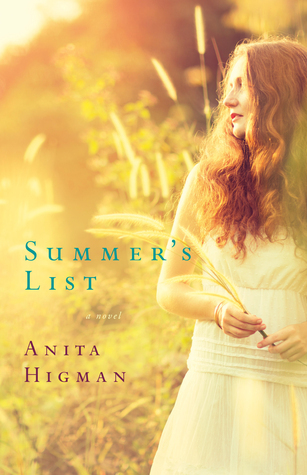 With lovable characters and surprising twists, Summer's List is a simple delight. I'm not sure how I feel about this book. There were parts I enjoyed, parts I hated, and parts that just left me confused. Summer is a girl who seems to flounder. She is in and out of relationships, and seems to have a hard time making up her mind. She is dearly attached to her grandmother and will pretty much do anything Granny tells her to do. It bugged me that she was so willing to go strike up a relationship with someone she had not seen in 20 years, and expect him to just be there for her. Martin is an odd fellow with a rough life. He is hated by his brothers, and is content to just stay out of their way and let them do what they want. It is obvious that he has been in love with Summer for most of his life, and his character immediately touched my heart. I wanted him to stand up for himself so badly, and I really loved the way he handled his brothers in the end. Granny seems to be the only 'normal' person in this book. She and her husband raised Summer following the death of Summer's parents, and she would do anything in her power to make Summer happy. Granny is a true woman of God and her willingness to allow Him to have His way with her life was touching. She is determined to see Summer and Martin together, and her methods for achieving this are a little unconventional - but effective. Again, I really have mixed feelings about this book. I enjoyed some of it, but found myself really having no feelings either way about the book as a whole. CBA best-selling and award-winning author, Anita Higman, has twenty-nine books published (several co-authored) for adults and children, and she has seven books coming out in the next two years. She won a 2011 RWA Readers Choice Award (first place) and has been honored in the past as a Barnes & Noble “Author of the Month” for Houston. Her latest coauthored book, Love Finds You Under the Mistletoe, was on the Nielsen’s best-seller list for five weeks for religious adult fiction and #6 on the CBA best-seller list for fiction (January, 2011). Anita’s novella, Once Upon a Christmas Eve, was given a four-star review in Romantic Times Magazine. 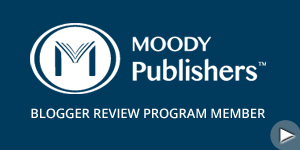 Some of Ms. Higman’s publishers are Guideposts/Summerside Press, Barbour Publishing, McGraw-Hill, Roman & Littlefield, Lillenas Drama, Abingdon Press, Standard Publishing, Bethany House, and Simon & Schuster/Howard Publishing. A few of Anita’s books are Love Finds You in Humble Texas, Another Stab at Life, The Celestial Helix, The Love Song (co-authored), Pokeweed and Mrs. Gasp, Who Will I be For the Rest of My Life? (co-authored), and Big Book of Holidays and Holy Days. She also has contributions in twelve nonfiction compilations. One of Ms. Higman’s co-authored books entitled, A Tribute to Early Texas, has a foreword by Elmer Kelton and has won a San Antonio Conservation Society Citation as well as a Westerners International Book Award. 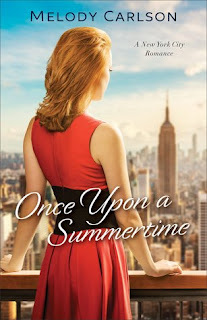 She was named a Favorite New Author in the 15th Annual Heartsong Presents Awards, and in the 16th Annual Heartsong Presents Awards her co-authored novel, Castles in the Air, was one of the winners in the Favorite Contemporary Romance category. Also Anita contributed to an animation script that won a Gold Remi Award. Her novel, Love Finds You in Humble Texas, was chosen by Crossings Book Club and is now available in hardback and large print editions. Anita and the novel, Love Finds You in Humble Texas were featured on The Harvest Show, a Christian program with eight million regular viewers. Ms. Higman has won two awards for her contribution to literacy and has raised thousands of dollars for literacy with her book, I Can Be Anything, while serving on the board of directors of Literacy Advance of Houston. Anita Higman has written for radio, ezine, and advertising. She also cohosts a monthly blogtalkradio show atwww.InFaithNetwork.com which is a part of Reader’s Entertainment Radio and reaches an audience of 80,000. She has a BA degree combining speech communication, psychology, and art from Southern Nazarene University, and she is a member of American Christian Fiction Writers as well as The Writer’s View. Minor-but-nagging setbacks continue to sour Grant and Audrey Whitman s initiation into the world of innkeeping, but larger challenges brew when an innocent flirtation leads to big trouble for the Whitmans son-in-law, Jesse. Jesse Pennington s friendly, outgoing personality has always served him well, especially in a career that has earned him and his wife Corinne a very comfortable lifestyle. But Corinne and Jesse are both restless and for similar reasons, if only they could share those with each other. Instead, too many business trips and trumped-up charges of harassment from a disgruntled coworker threaten their marriage and possibly put their three precious daughters at risk. I think anyone who is married can probably relate to a time in their marriage when things aren't going so great and the two of you don't seem too close. That's exactly how this book started out. Corinne and Jesse are having a tough time in their marriage, and things get worse when Jesse is accused of sexual harrassment at work. But it is through this accusation that the two of them begin to put their marriage back together and get their lives back on track. Jesse seems like a great guy to me. He works hard to provide for his family at a job that he really doesn't enjoy - at all. When the accusations from a co-worker come up, Jesse is forced to be completely honest with his wife about many things in his life. Among them is his dream to do something different with with his life. Jesse takes a huge risk by letting his wife in on his secret, but he proves that honesty with our spouses always works out to be the best senario. Corinne also works hard to keep her kids and home in order. She loves that she gets to stay home and live an upscale life while her husband works. But she also realizes that things with Jesse aren't as great as they have bee in the past. She begins suspecting him of horrible things, and it all comes to a head when the accusations come. I was actually so proud of Corinne in the way she reacted when Jesse finally came to her and was completely honest. As Corinne and Jesse make plans for their future, their marriage becomes stronger than ever before. They are happy again and find joy in providing for each other and for their family. This story of redemption in marriage and in life is one that will pull at your heart strings. It left me with such a great feeling inside, and a desire to always work to make my marriage the best it can be. DEBORAH RANEY's first novel, A Vow to Cherish, inspired the World Wide Pictures film of the same title. Her books have since won the RITA Award, ACFW Carol Award, HOLT Medallion, National Readers' Choice Award, Silver Angel, and have twice been Christy Award finalists. THE FACE OF THE EARTH released in May 2013 from Howard/Simon & Schuster, and SILVER BELLS released from Guideposts in October. Deb and her husband, Ken Raney, enjoy small-town life in Kansas. They are new empty nesters with four children and a growing quiver of grandchildren, all of whom live much too far away. This book started a little slow for me, and I wasn't sure I was going to like it. But once it really started going, it turned out to be a book that I really enjoyed. Anna is a character that I feel so many people can relate to. She had high hopes of having a fancy hotel job out of college, and instead landed on her grandmother's couch while working at the cheap motel in town. I felt a little annoyed at her because through the entire book she seemed to harp on the fact that the cheap hotel was her only background. But then again, insecurity can make a person focus on something irrelevant. I thought Anna showed a tremendous amount of courage when she headed off to New York City with hopes for a job at a new hotel. Her commitment to make the best of the situation that was presented to her made me fall in love with her. When Sean arrived in the picture, I immediately liked him. It was obvious that he was an upstanding guy with an outgoing personality that made you want to like him. His friendship with Anna was so sincere and I wanted so badly for the two of them to get their happily-ever-after. I did get a little bothered by his persistence of Anna after she blew him off, but I got over it pretty quickly. So many other characters play important roles in how this entire story plays out. I enjoyed getting to know each of the characters and I look forward to getting more of their story in the follow-up books in this series. I felt like this was a great introduction to this new series, and I am for sure looking forward to future books. 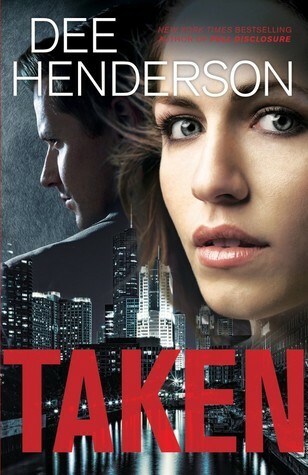 This book has it all - family drama, romance, crimes, mystery, friendship, and more. This book opens with the tragic death of the father of the family currently living at the lighthouse. We learn quickly that he has died the same death as their mother a few years earlier. It doesn't take long for the lighthouse inspector to show up, and things really start getting interesting with the story line. Caroline is doing her best to run the lighthouse and tend to her younger siblings. Each of them continuously cause trouble in their own way, and keep Caroline on her toes and stressed out. When it is announced that the family must leave and a replacement will be coming soon, my heart began to really become attached to this family of siblings and their fate. When Ryan first comes into the story I really didn't care too much for him. 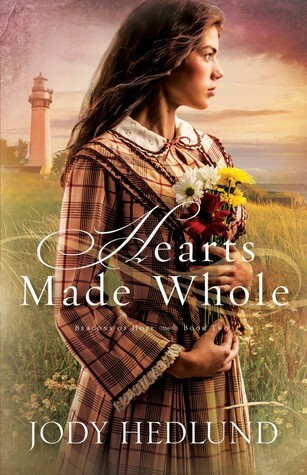 But not long after he arrived at the lighthouse for his new job, I began to fall in love with his character and began rooting for him to make something of himself. Throughout his internal struggles he has with himself we get to see the kind of person he really is and the daemons that keep him from becoming all that he should be. As this story goes on, there is so much going on and a bit of a "who done it" story line going on in the background as well. The multiple things going on at once kept the book interesting and had me turning pages as quickly as I could to see how it would all resolve. I ended up reading the entire book in one sitting. Jody Hedlund is an award-winning and bestselling author of inspirational historical romances including books for adults and youth. She currently makes her home in central Michigan with her husband and their five busy children. As a busy mama-writer, she has the wonderful privilege of teaching her crew of 5 children at home. In between grading math papers and giving spelling tests, she occasionally does a load of laundry and washes dishes. When she's not busy being a mama, you can find her in front of her laptop working on another of her page-turning stories. This book was not at all what I was expecting it to be, and I both loved it and disliked it at the same time. I loved the redemption story that was, in my opinion, much of the basis of the whole story.I felt like I missed a lot of Emmalyn's background story since this book started with her arriving at the island for the first time. However, much of her background is later revealed throughout the book as she flashbacks to days before her husband was sent to prison. Emmalyn took herself to this small island and was determined to make a life for herself. Through the rebuilding of the hunting cabin, Emmalyn really began to rebuild herself one project at a time. The people on the island that became her friends were some of the most unusual of characters, but each one of the drilled into Emmalyn a part of her that needed to be fixed. The first half of the book was an easy read for me and kept moving at a great pace. About half way through I completely lost interest and had to make myself keep reading. But once a very unexpected person arrives into the story (hey, I'm not giving away spoilers here! ), reading got much easier again and I found myself really into the story again. I spent the entire book expecting something horrible to happen, and was happy when I got to the end and all tragic events had been avoided. I just wish the book would have held my interest for the entire time. Overall, this was a good read. It was more on the serious side of things I normally read, but still an enjoyable book. 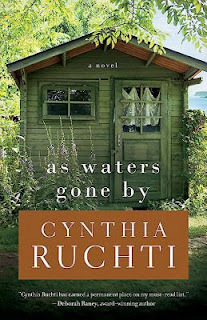 Taking multi-tasking to new heights (or depths, depending on your perspective), Cynthia Ruchti is the award-winning author of recent releases "All My Belongings" (novel), "When the Morning Glory Blooms" (novel), and "Ragged Hope: Surviving the Fallout of Other People's Choices" (nonfiction). She makes potato corn chowder for her husband of 42 years, loves on her three kids and five grandchildren, recently retired from 33 years of writing and producing a daily radio broadcast called THE HEARTBEAT OF THE HOME, is past president of the 2,700-member American Christian Fiction Writers and now serves as ACFW's Professional Relations Liaison, all while working on more book projects in addition to the eight already on the shelves. The year 2010 saw the release of her debut novel--"They Almost Always Come Home" by Abingdon Press (a Carol Award finalist)--and a Christmas collection novella, "The Heart's Harbor" in A Door County Christmas, a Family Fiction Reader's Choice, by Barbour Publishing. "His Grace is Sufficient...Decaf is Not," released Nov 1, 2011. Another novella collection--"Cedar Creek Seasons" (Barbour) released in spring of 2012. "When the Morning Glory Blooms" (April 2013) was followed by "All My Belongings" (2014, also from Abingdon Press). Her books have recently been honored with two Selah Awards, two Christian Retailing's BEST Awards, and awards from CAN Golden Scrolls and AWSA Golden Scrolls. She tells stories of Hope-that-glows-in-the-dark through writing and speaking, but she gave up knitting, counted cross-stitch, sewing her own clothes, naps, and dusting baseboards a long time ago. You can find her at www.cynthiaruchti.com, at www.facebook.com/cynthiaruchtireaderpage, or in the kitchen, brewing herself another cup of tea. The Yummy Adventures of Celia and Cedric is a series of brilliant books for children. 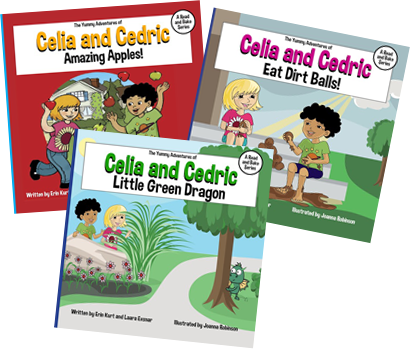 Written by a two-mom team of former teachers (and one is now a nutritionist), the Celia and Cedric series combine cute stories along with nutritional education. 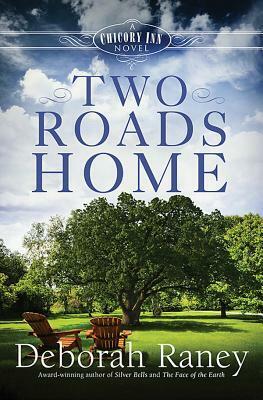 Celia and Cedric are young children who live down the street from each other in the town of Healthville. Their parents are focused on teaching their children good nutritional choices, so each story is infused with mentions of healthy snacks or meals. As Celia and Cedric adventure through their neighborhood, as young children do, they have fun adventures that my kids have loved reading about. With each adventure, they always end up in one of their kitchens working on a healthy snack or meal. My kids love to help me out in the kitchen, so they really enjoyed this aspect of these books. And even better, each book has all the recipes from the story included in the back. (Be sure and check my main blog later in the summer as the kids and I try out a few of these recipes). All in all, I think the Celia and Cedric books are a wonderful resource to have in our home. I'm glad my kids enjoy the stories and I look forward to using them as we learn about better eating habits in our home. Mother and daughter team Erin Kurt, B.Ed and mom, Laara Exsnar B.Ed, RHN have joined forces to write fun, adventurous stories with their little characters Celia and Cedric. Erin, a former school teacher and mother of two young kiddies and Laara, a retired school teacher and now nutritionist have a passion for families, health and yummy food. Bringing their combined expertise together they've created a Read and Bake Series as they home will bring families continuous hours of fun and enjoyment. The concept of the story in this book is great. The first chapter opens with a shooting in an Emergency Room, with three people left dead and an entire staff left shaken up. The victims turn out to be members of a famous drug cartel, and everyone involved becomes a target. People start dropping like flies, and the police head down all the wrong trails to get to the ones involved. The cartel has infiltrated the police, the hospital, and more. I just couldn't get into it. It's not often that I give up on a book, but I didn't finish this one. The writing style was choppy and little to no intimate details were given for any characters or scenes. I found myself wishing for more descriptions of surroundings, reactions, emotions, and such. I never felt connected to any of the characters, and got a bit irritated with a few of them over their inability to realize the reality of the situation they were in. I typically make myself finish every book I start, but I only made it half way through this one and had to put it down. It seems to have several good reviews, so I'm not going to say it is a horrible book. It just isn't a book for me. Dr. Richard Mabry is a retired physician, past Vice-President of the American Christian Fiction Writers, and the author of five published novels of medical suspense. His books have been finalists in competitions including ACFW’s Carol Award and Romantic Times’ Inspirational Book of the Year, and have won the Selah Award from the Blue Ridge Mountain Christian Writers Conference. 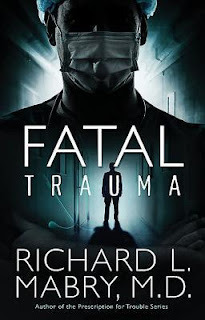 His forthcoming medical thriller, Fatal Trauma, is coming in May, 2019. He also has a novella, Rx Murder, available on Amazon. Richard’s non-fiction book, The Tender Scar: Life After The Death Of A Spouse (Kregel Publishers), has ministered to multiple thousands of grieving individuals. His meditations and short pieces have appeared in The Upper Room, In Touch, and several other periodicals. When Richard is not writing, he spends his time reading, working fruitlessly to improve his golf game, and defending his title as the world’s best Granddad. He and his wife live in north Texas and are active members of Stonebriar Community Church, pastored by Dr. Chuck Swindoll.